bool(false) anybody have a templete for Compulive? anybody have a templete for Compulive? 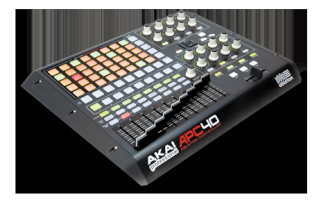 im trying to use the apc40 as the controller for my lighting software compulive but i cant get it to work right, does anyone have a templete or could tell me how i could make it work? thanks! Re: anybody have a templete for Compulive? if you can route midi into the program, then you could use ableton to control it. failing that you could simply use a Midi-DMX converter, and use ableton to control the lights directly.